Pie in the sky? 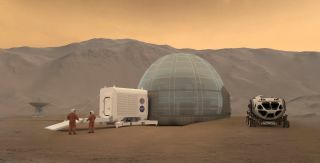 Mars Ice Home concept. Editor's Note: This article was corrected to reflect that Titan is a moon of Saturn.